GolfAhoy 2020 Spain Golf Cruise itinerary begins in Lisbon, Portugal and concludes in Barcelona, Spain. The five-round line-up begins with The Oceânico Faldo Course situated in Portugal’s famed Algarve region; Valderrama consistently rated #1 in continental Europe; Finca Cortesin, located to the west of beautiful Marbella; The classic El Saler on the outskirts of Valencia; and finally Son Gual, on the glorious island of Mallorca. In vibrant Barcelona, we also offer a three-night post-cruise hotel package including play at the highly acclaimed El Prat and PGA Catalunya. Finca Cortesin is ranked as one of Spain’s finest golf courses by Golf Digest Magazine. Cabell B. Robinson’s design beautifully complements the natural landscape. It provides a perfect balance between 20 varieties of flora, the typical Mediterranean forest and the perfectly manicured bermudagrasses of the golf course. Finca Cortesin played host to the prestigious Volvo World Match Play Championship for 3 years, with many of the world’s finest professional competing. El Saler is located on the outskirts of Valencia within the Albufera Nature Park. Designed by Javier Arana, one of the most prestigious Spanish designers and opened in 1968, it sits nearby the beach occupying terrain dotted with pine trees and sand dunes and has a distinctly “links” feel. It’s famous “cats claw” (not dissimilar to the Monterey Peninsula’s “ice plant”) is certainly to be avoided in the rough. Son Gual has been lauded since it opened in 2007. The Thomas Himmel designed layout is considered the finest of the Balearic islands and is one of the most talked about venues in southern Europe, with the European Golf & Travel Media Association naming it as ‘The Discovery of 2010’. Son Gual enjoys a lovely location, peppered with mature olive trees and wildflowers, with its design and conditioning being of the very highest standard. Golf Excursion Package $3,145 per golfer. 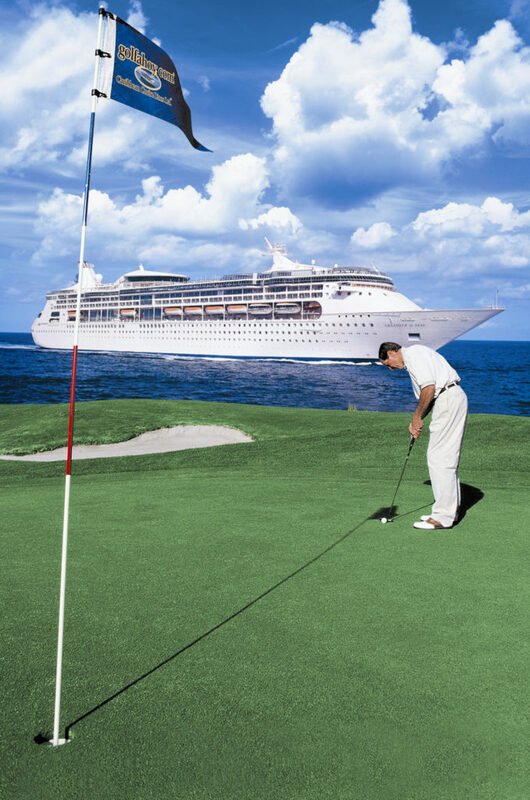 Post Cruise 3 nights / 2 rounds (El Prat and PGA Catalunya) from $2,195. Non-golfing travel companion from $1,195. AZAMARA Early Birdie Booking Bonuses apply – book and deposit early for best stateroom locations and bonuses.